Preschool should be a magical time, filled with imagination and creative learning through play. 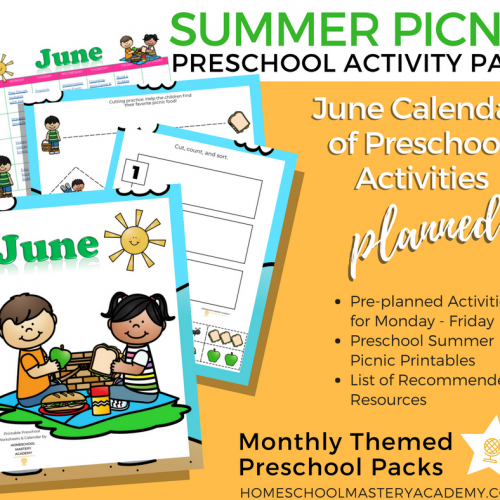 If you feel overwhelmed by the thought of filling your days with the right books, themes, and hands-on activities for pre-k, then you are in the right place! It can take hours upon hours to sift through tons of ideas on Pinterest and decide which activities are worth your time. 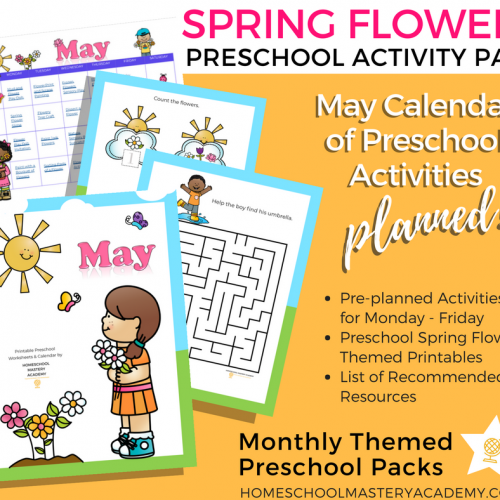 We have done all the work for you and collected a year of engaging age-appropriate activities designed for preschoolers. 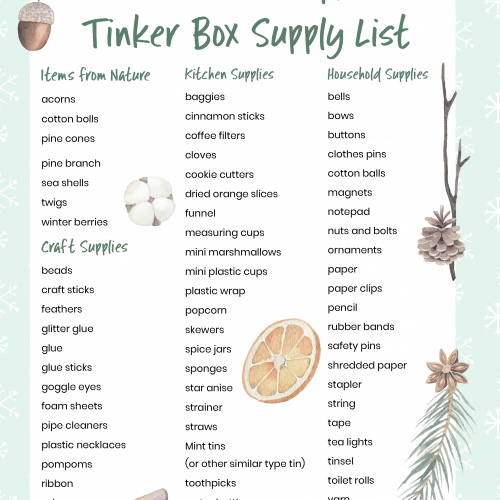 And the best part is that we have packed each month by theme so that you can make the most of your pre k homeschool. Yes! 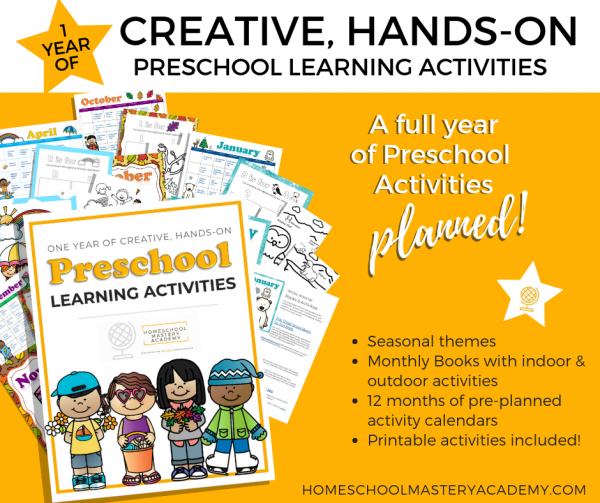 One full year of themes, books, and hands-on activities for your curious preschooler to learn and grow. Research tells us that children thrive through indoor/outdoor play and exploration. Here at Homeschool Mastery Academy, we agree! 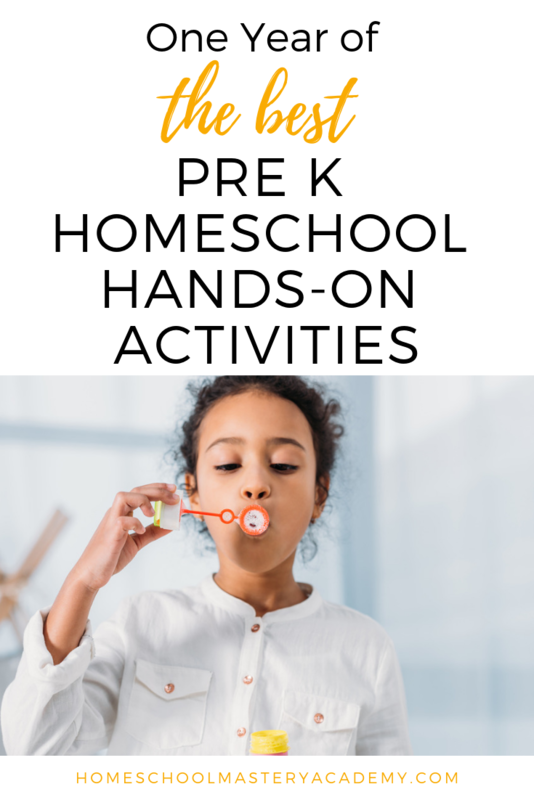 So we combine exciting hands-on activities while naturally introducing early literacy, math and science concepts — all the while leaving plenty of time to enjoy childhood with good old fashioned play. 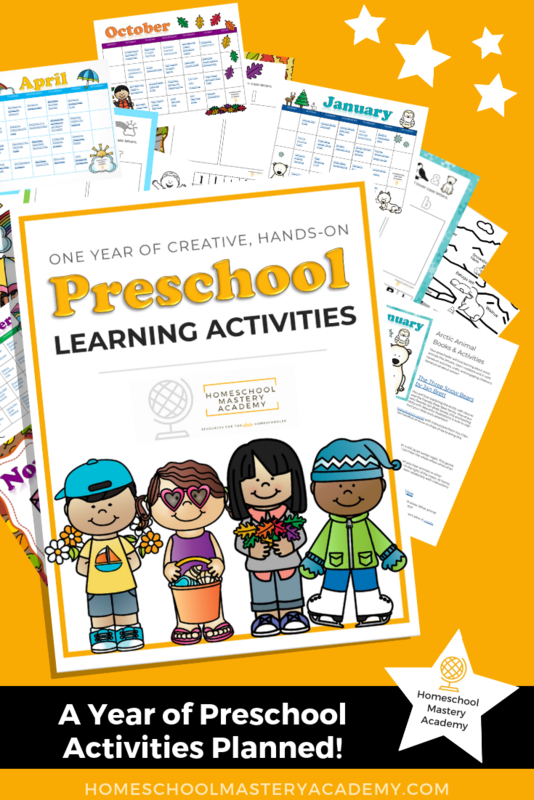 This guide includes 12 months of creative, hands-on activities for you and your child to enjoy together! 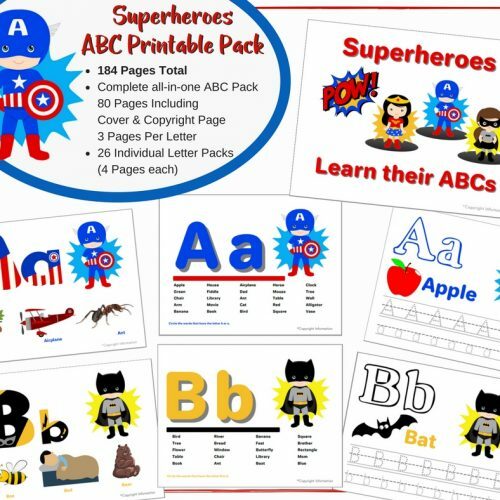 • Cover Sheet for Discussion – Use the cover sheet to discuss what the child is wearing for the theme or season. Ask questions about names of the articles of clothing or colors? Where does he or she look like they are going etc.? 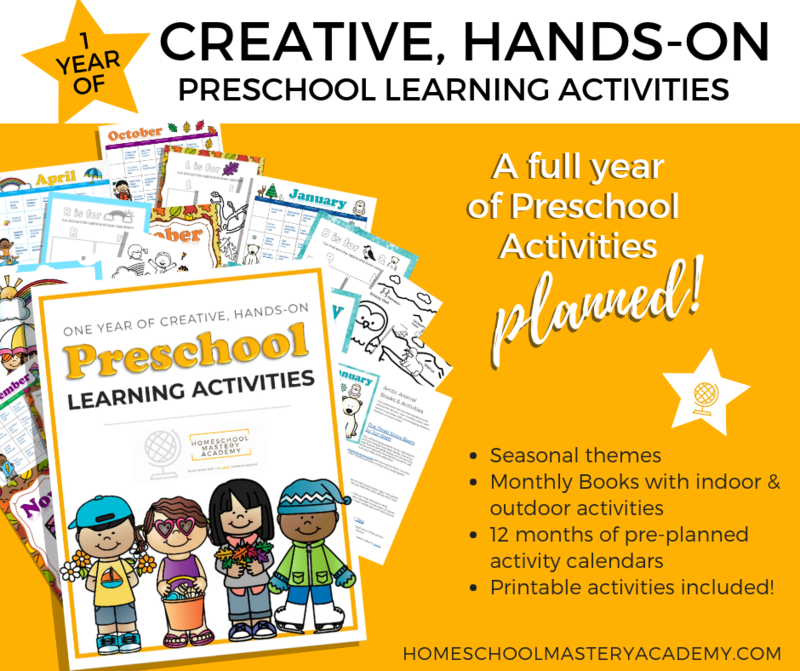 We have created this guide to either be used alone for a relaxed approach to pre k homeschool or use as a supplement to other curricula to introduce and reinforce themes and concepts. Join our Facebook community for added support! 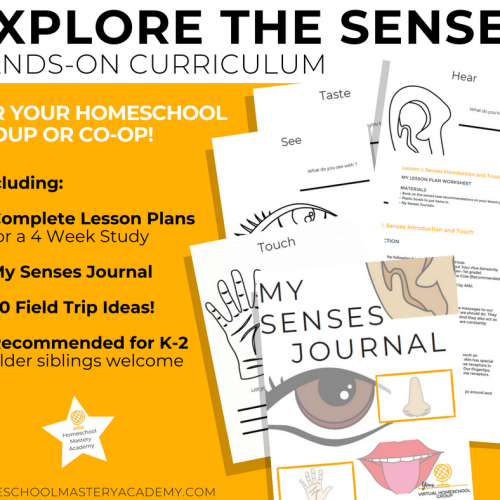 Homeschool Mastery Academy wants to see you succeed when it comes to homeschooling. We are there to answer your questions anytime and support you along the way. 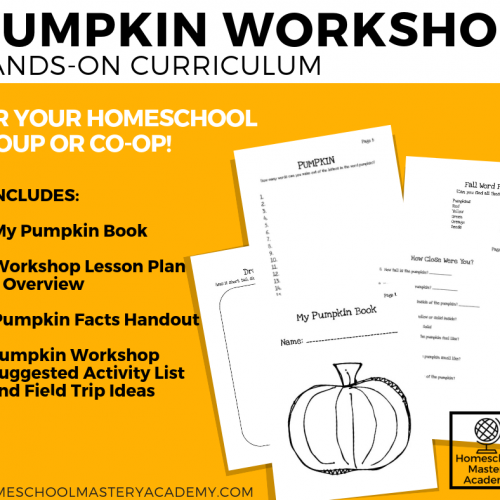 Our virtual homeschool group is a fantastic place to get connected with families in all stages of homeschooling.